Cool Crafts for Cozy Celebrations | The Party Planner | Kids VT - small people, big ideas! Winter tends to drive celebrations indoors, where it's warm and dry. But Mother Nature can still play a role. 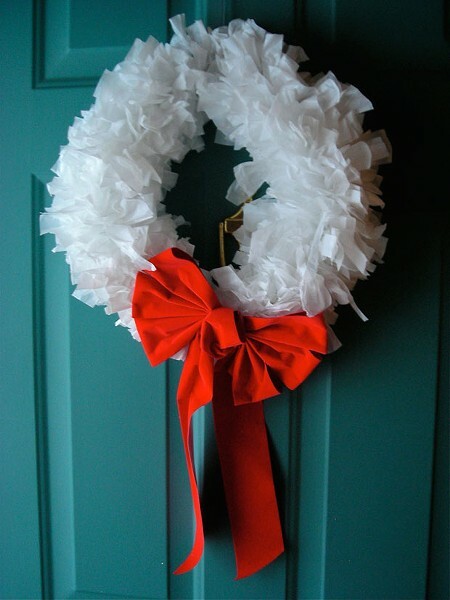 Here are some easy, inexpensive craft projects that bring the outside in. Cut the white paper in half horizontally. Make it a curvy cut, to simulate rolling hills. Glue the resulting white cut-out to the bottom of the light-blue paper. Paint a child's hand with brown paint and have the child spread out his or her fingers and press the palm and fingers onto the paper. Then, have the child use a finger to paint a tree trunk under the handprint. Once the tree has dried, use the glue stick to apply glue to the branches and snowy field. For a snowstorm, make dots on the blue paper with the glue stick. Sprinkle granulated sugar on all gluey areas. Lift the paper and tap its edges to shake off the excess sugar. Cut six pipe cleaners in half to create 12 pieces. Gather 11 pieces together and tightly wrap the last pipe cleaner around the middle of the bundle; twist the ends to secure it. Bend the bundled pipe-cleaner pieces, spreading them into a sphere. Thread beads onto each pipe-cleaner half and use fishing line to hang this never-melting ice crystal as a holiday decoration. Cut the white trash bags horizontally into 2-inch wide strips. Cut those strips into six-inch pieces. (To save time, this step could be done before the party.) Elongate the triangular part of the hanger, shaping the wire into a circle. Tie each strip of bag onto the hanger, centering the knot so that equal amounts of strip are on either side of the knot. Use as many strips as you'd like, depending on how full of a wreath you're aiming for. Finish with a bow and use the hook for hanging.